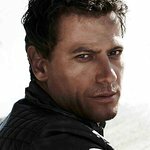 Welsh actor Ioan Gruffudd is best known for films such as The Fantastic Four, Titanic and Black Hawk Down, and TV shows such as Hornblower and Forever. He is a patron of Trust PA, a charity for spinal injuries. Google trends for "Ioan Gruffudd"
We don't have any videos related to Ioan Gruffudd.